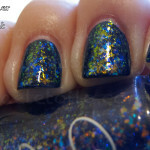 I have never been a huge glitter fan, but sometimes, I need glitter in my life and ILNP Gaia fits the bill. 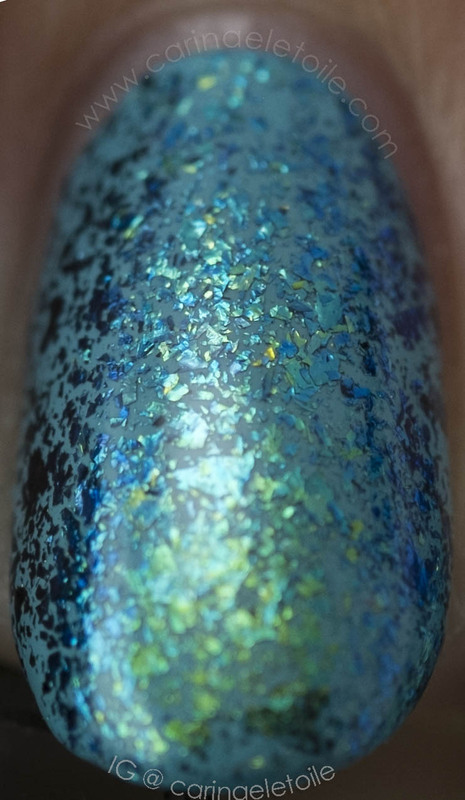 If you were lucky enough to procure any of NFU Oh’s Opal collection, then you know that flakies have had a hold on the polish world for some time. 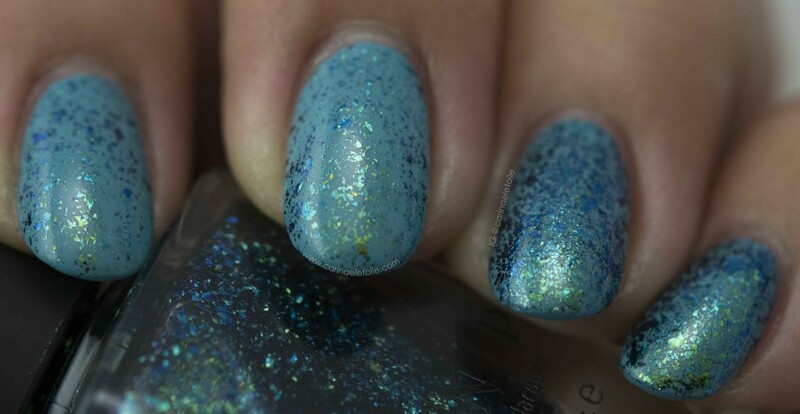 ILNP Gaia is a gorgeous flakey in a clear base with flake glitter that flashes blue and green from many angles. I layered this over a pretty robin’s egg blue polish I had sitting around. In my super bad lighting, I thought it would match well…it’s ok, but I wish I had chosen a different color. However, now that I think about it…the base color does flatter the flakey polish, doesn’t it? Formula for this was great! It dried quickly and was opaque in two coats. It wasn’t lumpy, either. I fell for this collection in a big way and I bought them all in a pre-order. I love pre-orders and I try to contribute to them as much as possible! Check out my macro shot below. Click to enlarge this macro. It’s gorgeous! You can see the blue and green flashes coming into play…and it’s beautiful! It’s reminiscent of a mermaid, don’t you think? This is diffused light. 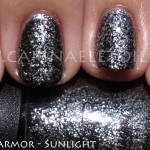 ILNP Gaia direct light shot. The flakey looks really blue in here and it looks gorgeous! 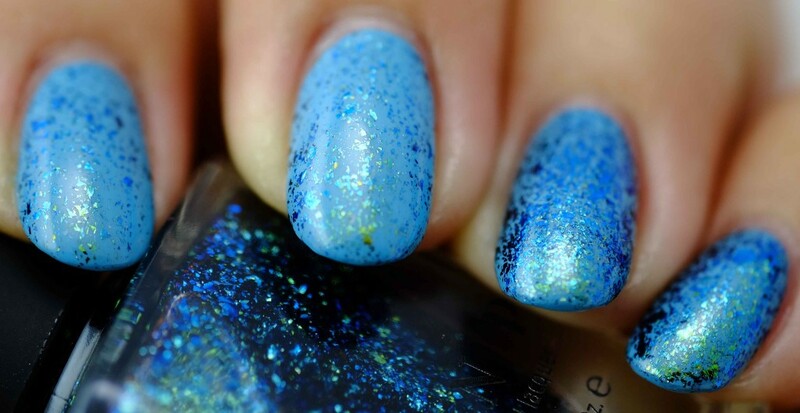 Now that you’ve seen the polish, do you think you would want this in your collection?